Harden's Guides have been compiling reviews of the best restaurants in Llandewi Skirrid since 1998. 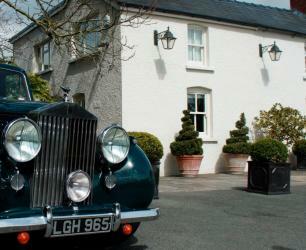 Hardens guides have spent 15 years compiling reviews of the best Llandewi Skirrid restaurants. On Hardens.com you'll find details and reviews of 1 restaurants in Llandewi Skirrid and our unique survey based approach to rating and reviewing Llandewi Skirrid restaurants gives you the best insight into the top restaurants in every area and of every type of cuisine.